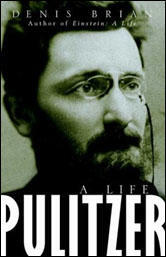 When Joseph Pulitzer, the newspaper publisher died in 1911, he left $2 million for the establishment of a school of journalism at Columbia University. He stipulated that one-forth of this sum was to be "applied to prizes or scholarships for the encouragement of public, service, public morals, American literature, and the advancement of education." 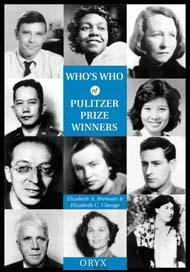 This Pulitzer Fund was used to establish annual prizes for literature, drama, music and journalism. Since 1922 these Pulitzer Prizes have also been awarded to cartoonists. Winners have included Rollin Kirby (1922, 1925), Jay Norwood Darling (1924 and 1943), Daniel Fitzpatrick (1926 and 1955), Edmund Duffy (1931, 1934 and 1940), John McCutcheon (1932), Clarence Batchelor (1937), Vaughn Shoemaker (1938 and 1947), Jacob Burck (1941), Herb Block (1942, 1954 and 1979) Cliff Berryman (1944), Bill Mauldin (1945 and 1959), Lute Pease (1949), Paul Conrad (1964, 1971 and 1984) and Pat Oliphant (1967). We will always fight for progress and reform, never tolerate injustice or corruption, always fight demagogues of all parties, always oppose privileged classes and public plunderers, never lack sympathy with the poor, always remain devoted to the public welfare, never be satisfied with merely printing news, always be drastically independent, never be afraid to attack wrong, whether by predatory plutocracy or predatory poverty. Our Republic and its press will rise or fall together. An able, disinterested, public-spirited press, with trained intelligence to know the right and courage to do it, can preserve that public virtue without which popular government is a sham and a mockery. A cynical, mercenary, demagogic press will produce in time a people as base as itself. The power to mould the future of the Republic will be in the hands of the journalists of future generations. (3) Just before his death in 1911 Joseph Pulitzer wrote a letter to the editor of the New York World. Every issue of the paper presents an opportunity and a duty to say something courageous and true; to rise above the mediocre and conventional; to say something that will command the respect of the intelligent, the educated, the independent part of the community; to rise above fear of partisanship and fear of popular prejudice. I would rather have one article a day of this sort; and these ten or twenty lines might readily represent a whole day's hard work in the way of concentrated, intense thinking and revision, polish of style, weighing of words. (4) In 1911 Joseph Pulitzer explained why he had bestowed an endowment on Columbia University in order to establish a School of Journalism. I am deeply interested in the progress and elevation of journalism, having spent my life in that profession, regarding it as a noble profession and one of unequaled importance for its influence upon the minds and morals of the people. I desire to assist in attracting to this profession young men of character and ability, also to help those already engaged in the profession to acquire the highest moral and intellectual training.